Kyle DeRosa is the Agriculture and Socioeconomic Data Specialist for the AgCenter, where he provides both data mining support and analysis. He arrives from the technology consulting sector in higher education after having obtained his undergraduate degree in quantitative economics from Tufts University. 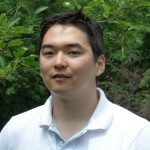 His research interests include utilizing machine learning and data mining for socioeconomic and agricultural research.